Most events are capped with maximum numbers, first in first served. Click on the green 'Book Now' button to complete the enrollment form and register for the event. If the 'Book Now' button is red, then the event is full and not able to accept additional people. Events that do not have a booking button do not require registration. These events are an open window, where you can arrive any time during the designated timeframe. As there is no fixed start time, parents are encouraged to use their judgement. If it appears too busy when you arrive, there is a park across the road at the Arboretum that you could go and have a play at and come back later. For safety reasons, we reserve the right to refuse immediate entry if an event is too busy at the time of your arrival. For all events, we encourage you to also register your attendance on our facebook page - https://www.facebook.com/pg/movingmonkeysau/events/, especially for events with no 'book now' button. This assists us to plan for staffing numbers. Continuing our dedication and passion to children and the community our Coaches are donating their time and throwing open their doors to raise funds for an amazing cause.....The Good Friday Appeal. $10 entry per head, have a play and 100% of the proceeds will go to this great cause. No booking necessary, turn up and pay on the day. Note: This is a parent supervised free time session. Arrive any time before 1.30pm, stay as long as you like. Session finishes at 2pm, no late stays, no early birds. Photos / Videos may be taken by our staff during this event for marketing purposes. Tuesday 15th January, Tuesday 22nd January. Suitable for children from walking age to pre-prep. 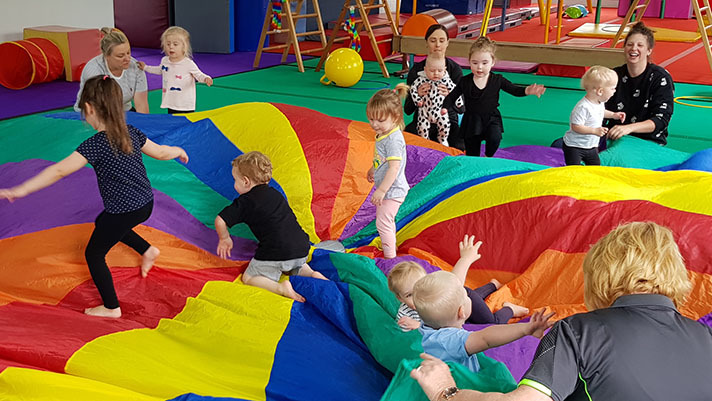 This action packed session is structured in similar fashion to a mixed age Kindergym session. Heaps of activities to explore for the younger ones, and circuits (obstacle courses) to follow for the older children. Children starting prep in 2019 and younger are best suited to these sessions, parent participation is required. Wednesday 16th January, Wednesday 23nd January. Suitable for children in Grades 1 to 4 in 2019. Parents are not required to stay, but welcome to do so. Are children jumping all over the place trying to be the next Ninja Warrior? This event is for you! Challenging obstacle courses, and games to play. Walk the slack line, tackle the swinging log, climb the rock wall, walk the rolling logs, jump between the quintouple steps. 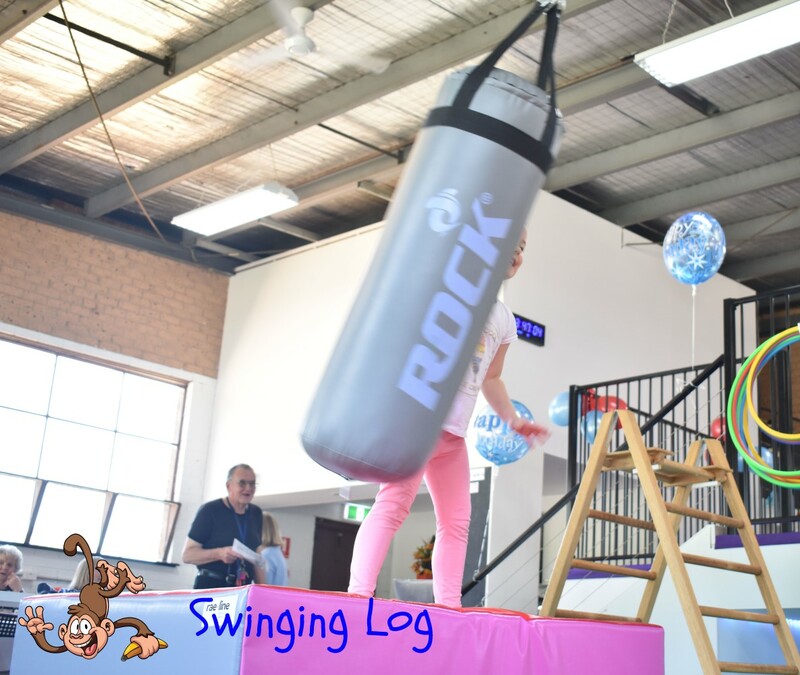 A Ninja Warrior themed school holiday program in a safe environment that won't destroy your furniture! Get active and work off some of that holiday energy. 1½ Hours of action, make sure you bring a water bottle!